Check out Skechers Super SALE happening on May 31 to June 3, 2018 at Lucky Chinatown Mall Atrium. GRAB up to 70% OFF on your newest Skechers pair! Make your back to school shopping count and grab the perfect Skechers shoes for you! 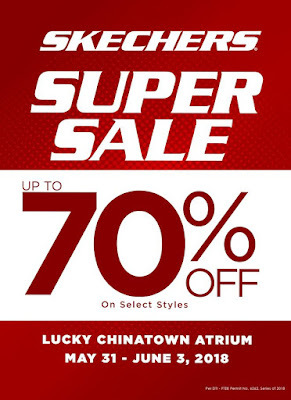 Head over to the Lucky China Town Mall now!